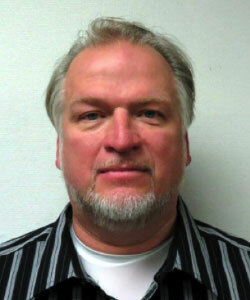 Terry Gilmore is certified to teach many new safety courses and is an approved instructor by the Iowa Plumbing and Mechanical Systems Board and Department of Public Safety; regularly scheduled classes are available to the public. As a local pastor he brings his experience of 28 years in public speaking and instructional training to Siouxland Safety Services. Gilmore also is credited for developing several safety courses that have been approved by the State of Iowa. 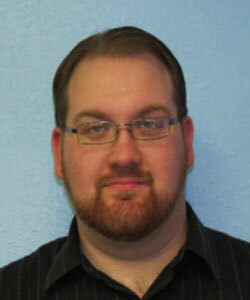 He is certified with Iowa Dept of Public Health as a Lead Inspector/Risk Assessor which allows him to teach lead classes as well as perform field work such as, Lead Inspections, assessments and hazard screens. Terry was a Mechanical Draftsman for several years. He has 2 degrees; Theology and Teaching. He has been the Chairman of the Board for CACC College for over 5 years. He has taught classes from coast to coast and as far away as India. He was an Executive Director and operated a Child Care Center for 12 years and he has driven School Bus and Motor Coach for 19 years. This has exposed him to years of safety training and a love for working with people. With this new addition, Iowans will fulfill their Continuing Education requirements needed to maintain their licenses in numerous trades. Referred to as “Bud”, Terry received his Mechanical Engineering Degree in 2009, Private Investigation, Private Security Officer Licenses, and multiple Train the Trainer certifications. For Siouxland Safety Services, Bud develops & audits Emergency Evacuation Diagrams, Strength of Material design for Scaffolding and for Personal Fall Arrest Anchorage Points, and Computer Aided Drafting of Floor Plans. He is a Chief Range Safety Officer and a Fire Arms Instructor. He has been trained in the TSA Transportation Security Agency of which he is a TA, Trusted Agent. Bud teaches Powered Industrial Truck, Scissor Lift, Boom Lift, Fork Lift, and Scaffolding plus Defensive Tactics/Pressure Point Control Tactics and PepperBall Technologies. 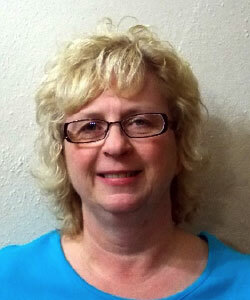 Carole is Siouxland Safety Services’ office manager. Her experience includes several years of organizing and teaching in various places on many subjects. She gets her safety and health background from working in a hospital environment for 21 years. She was been employed in various fields such as a Secretarial, Community Education, continuing Education, Human Resources, Dispatching, Billing, Insurances, and Administrative Assistant. Just recently she acquired her Private Investigator License and is a professional photographer.